In 2019 businesses are looking for more than just a basic website... They need a website that is going to help build awareness online and bring revenue to their business. 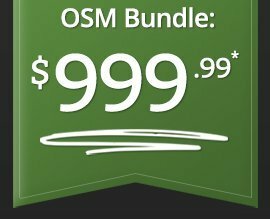 Our bundle offer includes a custom pre-tested website design, hosting and our intro marketing package for small businesses - all for $999.99*! Please fill out our form below to learn more about how our bundle offer can help create a strong online presence for your business.